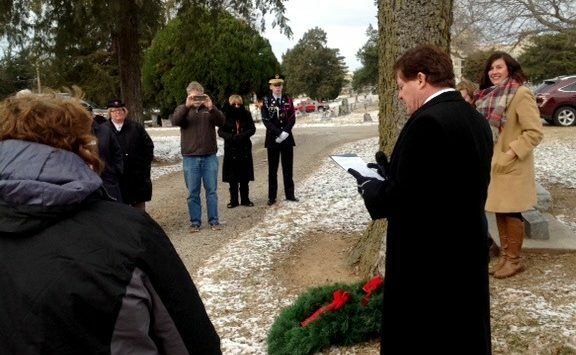 A commemorative wreath laying ceremony brought a small crowd to a snowy corner of the Gypsum Hill Cemetery on Monday, to honor three of the founders of Salina. Mayor Karl Ryan made brief remarks and shared some of the backstory on the pioneer spirit that inspired the group back in 1858 to establish a town near the banks of the Smoky Hill River. 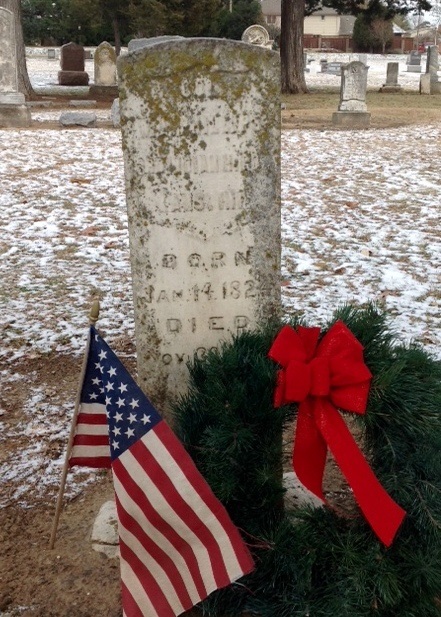 Wreaths were placed on the grave marker for veteran Colonel William Phillips, who worked as a war correspondent before serving as the commander of the Third Indian Home Guards during the Civil War. Other town founders honored included Alexander M. and Christina Phillips Campbell and David L. Phillips. 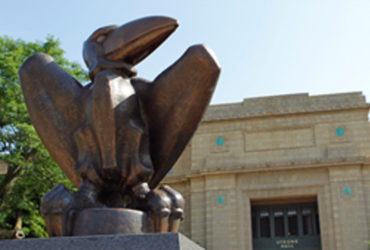 Salina founders Alexander Spillman and James Muir are buried in McPherson County. Susan Hawksworth, Director of the Smoky Hill Museum tells KSAL News that Col. Phillips helped bankroll the expedition. The fresh greenery commemorative wreaths were donated by BEL Tree Farm. St. John’s Military School bugler, Bradley Berutich, a second-year cadet from Sedalia, CO concluded the graveside ceremony by playing taps. Similar memorial wreaths are available to purchase by pre-order through the 2018 Friends of the Smoky Hill Museum’s Poinsettia & Wreath Sale, until Thursday, November 15.